Cochin is by the sea, so naturally you may expect some beach fun. There are beaches such as Fort Kochi and Puthuvype if you are after a short stroll. However, for the real deal you will have to travel to Cherai or Marari. 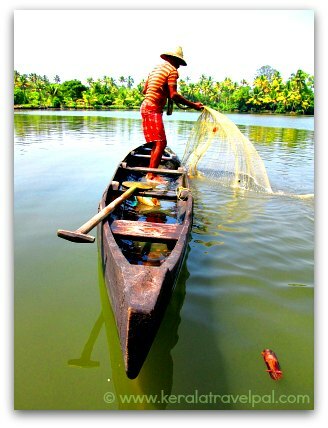 Cherai is a popular travel destination in the outskirts of Cochin city. It is a small village in the northern part of Vypin Island. Surrounded by backwaters and sea, Cherai has a lovely feel. 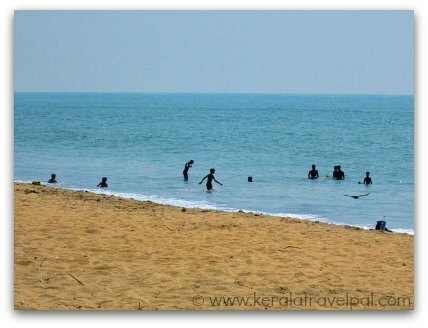 The good thing about Cherai is that there are several beaches. There is no need to put up with the main beach that is crowded, for there are many beaches where you will not find more than a few people. Cherai is one of those places where a bicycle is very handy. Opt for overnight stay only if you like the slow pace of country life. Or it may bore the hell out you. If you like to stay, there are several resorts to chose from. To reach Cherai from Cochin, take a Vypin ferry from Marine Drive. From Vypin, take a bus to Cherai. This is the easiest way to reach Cherai. If you are driving from the city, take Goshree bridge to Vypin. From there, turn right to Pallippram road. At Perumpilly, turn left and follow beach road till Cherai. Distance by road – About 28 kms. Marari, a fishermen’s beach is out of what is considered mainstream. A few resorts near the beach are the only reminders that this is a tourist place. You will be left alone. The only action you will witness is that of fishermen getting along with their chores. You will see people fishing right on the beach and country boats getting in and out of water. One of the advantages is that the backwaters are not far from here. Alappuzha is only 14 kms away. 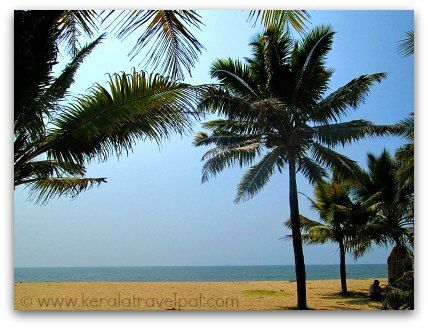 Marari is about 53 kms south of Cochin (Ekm Town Railway Station). Depending on traffic it takes about an hour or a bit more to reach by car. Mararikulam (full name of Marari) has a rail station. Only local trains stop there. Alternatively you can arrive at Alappuzha or Cherthala railway station (14 kms) and hire a tuk tuk or taxi or get on a bus to Marari. 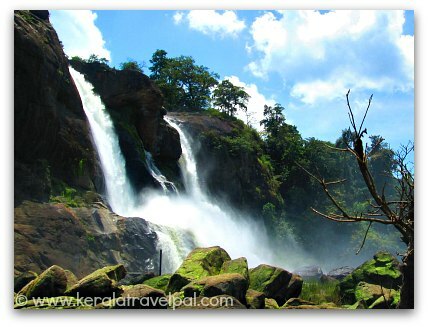 One of the best places to visit in Cochin outskirts is Athirapally, the largest waterfall in Kerala. The distance is about 78 kms, so it will need a day trip. Athirapally is a perennial fall that can be visited year round. No doubt, monsoons are the best time to visit. However, even in summer the place looks fabulous. You can see the waterfall from the top as well as get down to its base. Athirapally is not the only waterfall to visit here. There is another waterfall, Vazhachal, just 5 kms upstream. Vazhachal is a must visit because it is a stunner with totally different look to that of Athirapally. Sholayar basis, where these waterfalls are located is such a lovely location, spending a few days enjoying the bliss is not a bad idea either. The hard part is finding the right place to stay since there are only a few choices and are overpriced. If you find a good place to stay, then make a travel plan because there are several travel attractions in this region. Malakapara tea gardens, Thumpurmuzhi gardens, Dream World theme park, Silver Storm theme park at Vettilapara, Vachumaram, Anakkayam, Peringalkuthu Dam and Sholayar Dam are the places you could search and find more about. This is not for everybody. If you love to watch birds and take pictures, have a good look at Thattekad Sanctuary. For you, this could be one of the best places to visit while in Cochin. Thattekad is one of the top bird havens in India. Only certain regions of the Himalayas are as good as this one. Distance from Cochin – 65 kms. Kodanadu, Bhoothathankettu and Chendamangalam are the other places to visit in Cochin outskirts. Kodanadu is famous for its elephant training centre where wild elephants are tamed. You can see them getting washed. However, not everybody likes the sight of elephants in chains although many people are not bothered with it. So choosing to go there depends on your view. Distance from Cochin – 50 kms. Bhoothathankettu is a dam site surrounded by forests. The picturesque location is great for picnics. Thattekad bird sanctuary is only 8 kms from here. Distance from Cochin – 60 kms. Chendamangalam, a village near North Parur, is well known for a couple of heritage buildings. Distance from Cochin – 33 kms. Chottanikkara temple, Kanjiramattam mosque, Malayattoor, Kalady, Kadamattom, Koonankurishu church and Kandanad church are associated with faith travel.